Anna: My husband told me I needed to do something to harness my imagination or we would be in trouble. Anna: The challenge of taking a base idea and turning it into a 300 plus page book. I love it. I never knew I had so much to say. 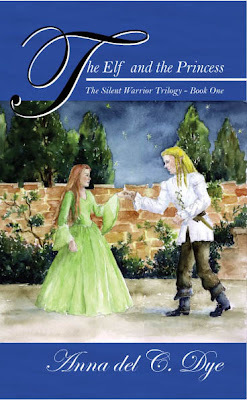 Anna: I realized that with English being my second language I would have to prove myself more than a native English speaking author, so I self-published “The Silent Warrior Trilogy,” my first three medieval books in my Elf series. I plan to mainstream publish my YA medieval romance series. I was. After I published the trilogy, I did all my promotion and it became a full time job. It was hard to have to slow down, sometimes to a crawl, with my writing. My head is full of new characters ready to have an amazing life and they can’t wait to come out. I try to do all the mundane things by 1:00 pm and then hopefully write or edit my books, though promotion takes a lot of my time. Anna: I get my ideas from anywhere. Once I went to see the play Aida and next day I started my book entitle “A Kingdom by the Sea.” Another time, I was asked to start a short story with a set beginning and I was thrilled to find out I could. One story was done with a group of people who each did a bit of it at the time. Like a chain letter this one was a chain story. I was amazed with what we produced. Deirdra: Can you tell us a little about The Silent Warrior Trilogy? Anna: Hope. The desire to become better, and to never give up on themselves. I usually start at the beginning and go from there. Sometimes I have to re-think what will be the first page after I start my editing. Still I just start at the beginning and keep going from there. Once I did and I wondered where I wanted to go next. I avoided thinking about it for three days, until I finally said...enough! Get to it. So I sat down and started to write even when I didn’t know what I wanted to say. I wrote and re-wrote until, after a half hour, I was on my way and never looked back. It depends on my mood. I wrote one of my romances, “Once Upon Two Kingdoms” while I listened to romantic music. It was awesome to be influenced by the mood of the songs. A lot of times I do it in silence. I love silence. Anna: My membership in the League of Utah Writers and ANWA. They have provided me with so much to learn and progress in my route as an author. I owe them a lot. I study how other authors do it and that usually gets my juices flowing. Anna: Too many to name, but I would have to say that Tolkien is at the top. He started me on my writings. No, it wasn’t my husband with his nagging. It was Tolkien who gave me the last little push and he doesn’t know the monster he created. Anna: Grapes. They are easy to eat and fairly clean on your fingers and computer. Anna: I am a professional seamstress. I have helped with the costumes for the casts of four musicals, done men’s clothing, quilts and a lot else. I cut hair for many in my family. I know how to prepare ceramic to be fired and also to paint them. I love crafts and know how to do block and gold leaf pictures. I have a knack for candy making and I am a frugal buyer. I love the challenge. Anna: Be positive, keep trying and never give up. It’s no so much what you write but how to find the right publisher for your manuscript. Many times is just luck. Also, never submit without thoroughly editing your work. Deidra: You have something nifty in your website, do you want to tell us about it? Anna: I’d be delighted. I have a reading room set up with different stories that I read personally. In December I have a collection of Christmas stories: Twas the Night Before Christmas, The first Christmas, Yes Virginia there is a Santa Clause and so on. The rest of the year I have stories like Robin Hood and other as such. They are Free, but not meant for children under 5. Anna: As important your writing is, don’t forget to promote your books. If you don’t cheer on your work who will? Also remember to help other authors, for many will return the favor. King Paletin and Adren have set forth a mission for their team of elfs. Zyrthal, the young strategist, is given the daunting task of leading his team to the hidden treasures of the vanquished Kingdom of Menarm. Although they are strong in number and sure of purpose, the elfs face many uncertainties on their royal mission, and instead of treasure, they find themselves facing ruthless mercenaries who are determined to claim the kingdom’s riches for themselves. Once again the Silent Warrior is sent to rescue the captured elfs. But he has been battling demons of his own, and finds himself doubting his abilities as the champion of Adren, the last princess of Menarm. The shadows in his heart are magnified with the disappearance of two half-elf princes from the dead kingdom. Will the Silent Warrior succeed in rescuing the young boys and thwarting the mercenaries, or has he fallen from Adren's grace forever? 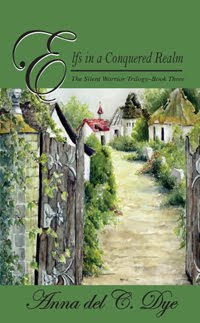 In this outstanding finale to the Silent Warrior trilogy all questions will be answered. In the serene and beautiful city of the elfs, life has changed but little since Menarm was destroyed and the war ended. Three springs have passed and Adren, the last princess of Menarm, has settled into her new life. Her champion, the Silent Warrior, has not been seen since the battle at Wilapond. Suddenly the peaceful life in her new kingdom is challenged by enemies the elfs are unable to fight. Disaster seems imminent for their whole race. Will she have to witness the destruction of this kingdom and once again find herself alone in the world? Or can the Silent Warrior come to her rescue and save them all? Once again Anna’s inspiration from the myths and legends of Europe and from writers such as J.R.R. Tolkien has woven a new and completely original tale full of suspense, adventure, and medieval-style warfare in “Trouble in the Elf City”, book two of The Silent Warrior Trilogy. 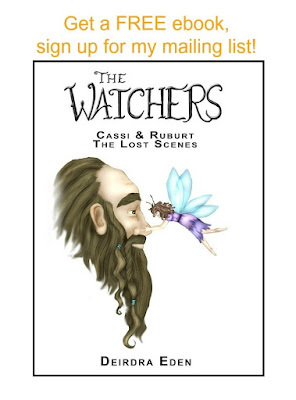 This tale of high adventure between elfs and men will take you to a fantasy world that will leave you asking for more. Join in the continuing saga of Adren and the elfkind, in book two of The Silent Warrior Trilogy. A Most Thrilling and captivating tale for readers of all ages. Menarm was a great and prosperous kingdom, known throughout the land for its friendly, hardworking people and fair trade. But a bitter struggle of succession between brothers left the kingdom devastated, the people divided. Some stayed with Fenil, who had conquered the crown, other followed Renil to the wild lands of the north, founding a new kingdom. Now Adren, the last princess of the vanquished realm of Menarm, finds herself alone in a world where women live in the shadows of men. Not only must she battle her enemies, but also a truth that could obliterate her last hope for happiness and bring dishonor to all those whom she holds dear. On her quest, she finds unlikely allies in a powerful prince and a defiant mercenary, only to be devastated by an ancient and wily elf. Will Adren be able to survive this final assault? The Elf and the Princess is a brilliant tale of true love, high adventure, and medieval-style warfare between elfs and mankind. Drawing inspiration from the myths and legends of Europe and from such writers as Tolkien, Anna del C. Dye spins a completely original tale that will leave the readers wanting more. Adren and Dellin continue their lives in Lothia, the elf city. Adren gives birth to their son and their little family begins. A few times throughout the story trouble ensues and Adren finds herself needing to call upon the Silent Warrior and ‘his’ students to help save the day. The greed of men for shiny treasures that the elfs are using to help save a once lost kingdom causes the men to do foolish things which end up costing them much. Love is in the air in this third book as well. Many elfs find their life companions. One couple in particular goes through years of hurt and confusion before they decide if they are right for each other. This situation is unusual for the elfs who are used to knowing who they want to be with upon first glance or touch. Instead, for both Franelee and Siamuel it is a constant flow of emotional turmoil. They appear to always be on the wrong page when it comes to matters of the heart. You don’t find out until the very end if the two are able to reconcile. Anna del C. Dye once again offers some very good life lessons in her trilogy ending story. To name a few, she teaches her readers the importance of respecting not only yourself, but your family and significant other. She also teaches that greed never ends well and that all of the riches in the world will not make you as happy as your loved ones will. The elfs in her stories are perfect examples of what we as humans should strive to be. Anna del C. Dye’s writing is fluid and flawless and it should come as no surprise that one will find this story as fulfilling as the first two in the trilogy. Her talent for writing fantasy will leave her name forever entrenched in our memories as we hope to read more of her stories long into the future. I would recommend this trilogy to young and old alike. Anna del C. Dye’s immense talent allows her fans to be of any age and able to completely understand her magnificent stories. In a world so full of bad influences from the TV and the media, parents especially will view this book as a breath of fresh air and gladly encourage their children to read it in the hopes of instilling in them some positive values and life lessons. In the third installment of the Silent Warrior Trilogy, Adren, half human, half elf princess of Menarm, has been called to aid in saving the kingdom of her human friend, King Paletin, by providing his people with the treasures of her fallen realm. Resources have been depleted during times of war, and while elfs have no need of material things, King Paletin will be able to use the gold and silver to provide food and other necessities to his people. Knowing that such an enormous amount of treasure being transported could attract thieves, but not wanting to draw attention to the precious cargo, Adren enlists the help of the women warriors. Women elfs do not traditionally fight, and Adren knew that thieves would not suspect women to be entrusted with such a dangerous mission. Anna del C. Dye created a wonderful story about elves and humans working together to rebuild a society destroyed by war. Adren is the main character while her friends and family accompany her on her travels. Additional side stories of other elves throughout the book give the fantasy a more rounded feel. Anna del C. Dye does a good job creating a world that is both believable and interesting. 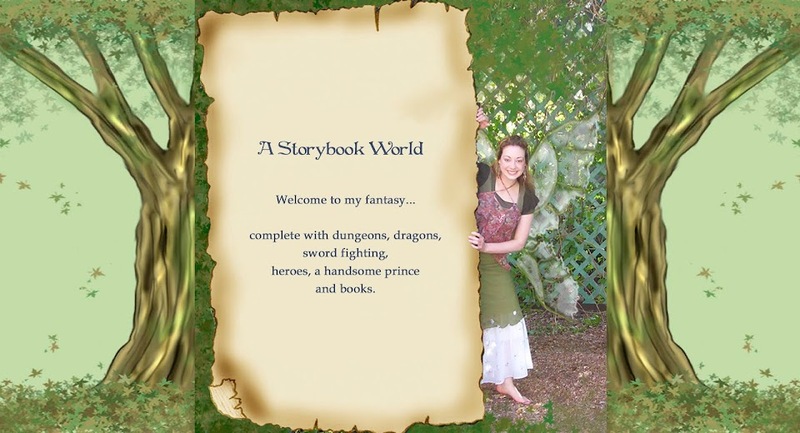 She has done a good job in this third book and is sure to attract new readers to elf-style fantasy and keep current fans happy. I recommend this book! I would like to share my overall impression of your work: You are a very convincing writer. I have to say that it is obvious that you have done a significant amount planning and preparation in crafting your work. You have really considered your audience in your writing by adding details that add to the credibility of your writing. In your work, your narrative voice is just great – very familiar and easy to follow. Your characters are round, well developed and your plot so engaging. I have to say that you have written an excellent piece here. It looks to me like you have meticulously gone through your document revising and smoothing things out. It flows very nicely. It is one that should be well received by a wide audience. 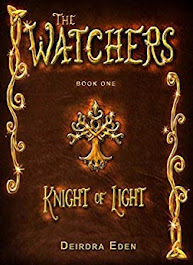 Anna Del C. Dye weaves a fantastical tale of bravery in the face of death, love in the face of change and how some secrets can save the world, in a style reminiscent to Tolkien or Paolini, in Trouble in the Elf City, Book Two from The Silent Warrior Trilogy. The Elf City finds itself in dire straits as their kind begins to turn up missing. But as trouble brews love blossoms. Lovers, however, could be torn apart when a secret is discovered and an unexpected battle is waged. A heroin steps forward, driving the story forward with her undying gusto and determination. The secret she carries could save them all. One thing is certain; the Elf City will never be the same again. This book has everything fantasy fans cry out for: Sword Play, Action, Romance and … Tea Parties…You will never think of them in the same manner again after reading Trouble in the Elf City. Anna del C. Dye was born in Valparaiso, Chile, amongst some of the world’s most famous beaches. After meeting Rodney, a native of Idaho, in her hometown, Anna traveled to Utah on Christmas Eve and married him two weeks later. Their love story, Why Him? was published by Covenant in the book entitled Tender Mercies. Anna and Rodney reside in Taylorsville, Utah and are the parents of three princes and a princess. Legacy Hills Care Center’s library, American Preparatory Academy, Bennion Elementary, and Majestic Elementary in Utah. Anna is an accomplished, multi-award winning author. One of her short stories entitled Amerine—Fairy Princess won an award in the Oquirrh Writers’ contest. The first book in her new YA Romance Series entitled A Kingdom By The Sea won another award. 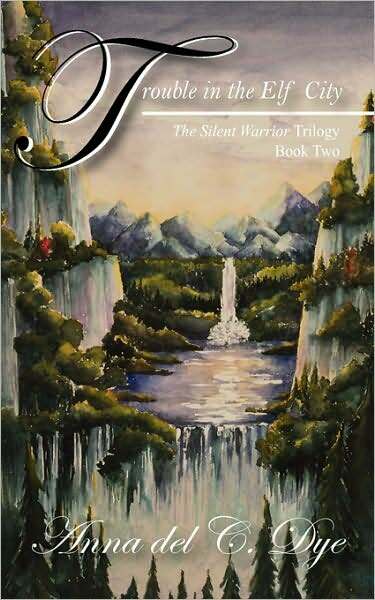 Anna’s works also includeThe Silent Warrior Trilogy, the beginning saga of her YA Elf Series. Her third book of the trilogyElfs in a Conquered Realm won a Bronze medal from the League of Utah Writers. She is fluent in Spanish and English. For more information contact Anna at www.annadelc.com. Great interview :)If it weren't for amazon and internet shopping I would be lost. English book selection here is terrible. Can I make a suggestion? You have a lot of blogs on your profile page, can you hide the ones that are not in use? Because it took me awhile to go through them all to find the true blog. You can do it from your profile page --> Edit Profile --> Select blogs to display. I didn't know I could do that. Hi Deirdra! Stopped by after receiving the award, thank you. The interview was great and I'm a new follower. Happy writing! You have the best interviews. Thank you for sharing. Anna is a fun lady. Thanks for the interview. Also thanks for the award that you sent my way. Deirdra I think I met you at a writers conference a year ago in Mesa, Arizona. Hi, Fascinating to have a look inside your head and heart. I enjoyed it all. Deirdra, Thanks so much for posting my interview this week I appreciate you doing this for me. It does look great. That was a fantastic interview from the first question, which I love her answer by the way. Had me laughing. Thank you for introducing us to yet another great author! I'm really loving these interviews! I wasn't sure how to let you know that I appreciate the award. I have posted it on my blog. Thanks so much. what a terrific theme for the A to Z Challenge! i look forward to learning more about your work. and thank you so much for the award :). Thank you for the Creative Blog Award! I've thanked you in my blog as well. Your blog is incredible! I will definitely be stopping by more often. Just taking a look around your blog,it's so pretty! What an amazingly cool site! So far, the best part of this A to Z challenge has been discovering unique little gems like your blog. Great interview!! Also... thanks for my most generous award!